Spaceflight is not for the faint of heart—literally. 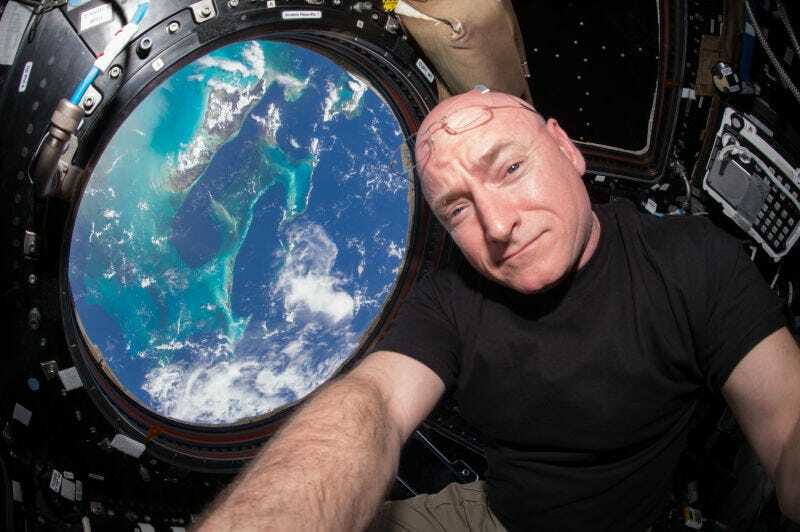 The first results of NASA’stwin study, released just this week, revealed that space physically impacts astronauts on multiple levels, right down to shifts in gene expression. Now, a group of scientists at the University of Michigan have released research that suggests spaceflight alters astronauts’ brains. 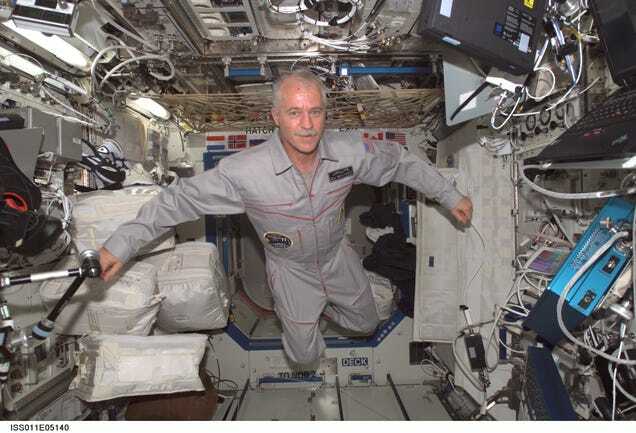 The team studied 26 astronauts who spent various amounts of time in space, between 2008 to 2012. Twelve of the astronauts spent two weeks as shuttle crew members, while the other 14 spent six months aboard the International Space Station (ISS). 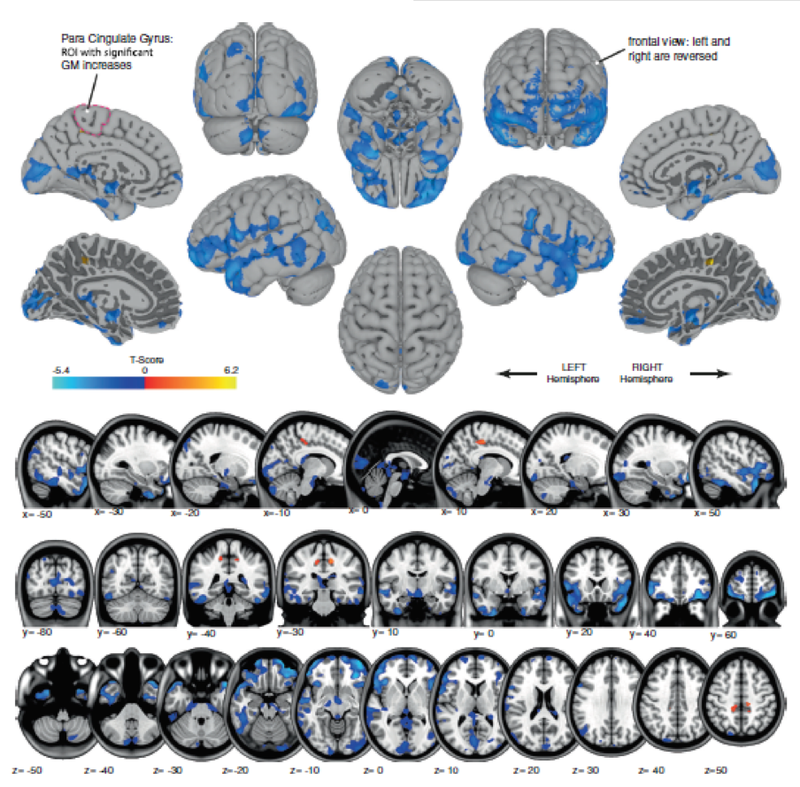 After examining structural MRIs from all the astronauts taken before and after spaceflight, the researchers found that all subjects experienced both increases and decreases in the volume of gray matter in different regions of the brain. Gray matter is responsible for many key functions, including muscle control, emotions, memory and sensory perception. Naturally, those who spent more time in space were impacted more dramatically. The team’s findings were published on December 19, 2016 inNature Microgravity. Specifically, the shifts in gray matter volume appear due microgravity, which describes the very slight presence of gravity aboard the ISS. The group found that during spaceflight, gray matter volume increased in small regions of the brain that control leg movement, which could reflect how the brain retrains the body to move in microgravity. In other areas of the brain, gray matter volume decreased, possibly due to a redistribution of thecerebrospinal fluid that coats the central nervous system. Astonishingly enough, we know almost nothing about how space impacts the brain. This study is the first to ever analyze how brain structure could change due to microgravity. While it’s still unclear how—or if—gray matter volume returned to pre-flight levels in the astronauts studied, Steidler is conducting a separate ongoing study that analyzes astronauts’ brains in the six months after their returns from space. With certain Earthlings’ grand ambitions to go to Mars, it’s important to understand how long stints in space can affect the human body. But this research could also be key to understanding health conditions here on Earth. Steidler said studies like this could help medical professionals better understand brain disorders like normal pressure hydrocephalus, which is caused by a build up of fluid in the brain. Previous Previous post: WHAT IS THE WEATHER LIKE ON MARS?